Growing grapes outdoors is becoming increasingly popular, particularly those varieties being grown for wine. The key to success is a combination of selecting the correct site and thorough soil preparation, combined with attention to watering, feeding and dealing with problems if they arise. Vines can be grown outdoors in southern Britain, south of a line between Pembroke and the Wash, but with predicted temperature increases due to climate change, or in areas influenced by the Gulf Stream or with the protection of a warm wall, it is worth experimenting with cultivation north of this line. Use later-flowering cultivars in northern areas. Grapes need a sheltered site in full sun, ideally against a south- or south-west facing wall, or on a south- or south-west facing slope with the rows running north to south. Avoid frost pockets unless temporary protection can be provided using horticultural fleece. Vines tolerate a range of soil types, providing they are free draining. Sandy gravel over chalk is ideal. Improve drainage on heavy soils by adding well-rotted organic matter and grit. Install drainage systems if necessary. A pH of 6.5-6.8 is required, so lime acid soils to raise their pH. Double dig soil before planting if necessary. Incorporate a light dressing of well-rotted manure or compost, plus general purpose fertiliser at 100g per sq. metre (3oz per sq. yard). Plant vines in the dormant season from late autumn until early spring, to the same depth that they were in the pot, providing the ground is not waterlogged or frozen. In areas with cold winters, March planting is preferable. The vine stems should be greater than pencil thickness, so they are not damaged by frost. Tease out the roots and spread them evenly around the planting hole before backfilling with soil. After planting, it is a good idea to mulch with well-rotted organic matter or chipped bark to protect the lower buds from frost. Remove the mulch from around the stem in spring, to stop the stem from rotting. Space vines according to the method of training you wish to adopt. 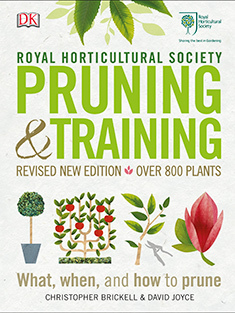 For more on this, see our pages on pruning and training grapes. In February, apply Growmore or other general fertiliser at 70g per sq. metre (2oz per sq. yard), plus sulphate of potash at 15g per sq m (½oz per sq yd) to 30cm (1ft) either side of the base of the vine. Feed dessert grapes every two weeks with a high potassium fertiliser such as tomato feed, from a month after growth starts in the spring until the grapes start to ripen. Although vines are fairly drought tolerant, they can suffer from the fungal disease powdery mildew if too dry at the roots, so water thoroughly in dry spring and summer weather. Grape vines can be grown in containers of general purpose potting media; loam-based John Innes No3 potting compost is ideal. Use a pot about 30-38cm (12-15in) in diameter and depth. See our page on grape pruning and training for further detail. Vines can be propagated from hardwood cuttings in late autumn or winter. Softwood and semi-ripe cuttings can also be taken from late spring to mid-summer. Those offered commercially are often grafted. Named grape cultivars will not come true to type from seed, so seed propagation is best avoided. ‘Phoenix’: A mid-season white grape for dessert or wine use; good powdery mildew resistance. ‘Pinot Noir’: A mid to late-season black wine grape; best against a warm wall; needs good summers to crop well. ‘Siegerrebe’: An early season white grape for dessert or wine use; excellent Muscat flavour; needs protection from wasps. This book is available through the RHS Lindley Library. Grape vines can suffer from powdery mildew in hot, dry weather or when growing in crowded positions with poor air circulation. They can also suffer from grey mould (Botrytis), downy mildew and the physiological disorder known as shanking. Birds and wasps can be problematic, and it is a good idea to control wasp traps, especially with early-season grapes. Brown scale and woolly vine or currant scale may be a problem. And the fruit fly - spotted wing drosophila (SWD) - is likely to become an increasing problem. Vines may suffer from nutrient deficiencies, particularly magnesium deficiency.